Being the closest alpine village to Melbourne with only a 3 hour drive north east, Mount Buller would definitely have to be one of the most accessible resorts to get to. You can come here for a summer break in the mountains or a winter escape with plenty of snow fun and experience all that Mount Buller has to offer. Ideal for families, honeymooners, weddings, business events, functions, organised group tours, backpackers and anyone else looking for an escape where the air is fresh, the skies are clear and there is an abundance to see and do no matter what time of year you visit. Be on top of the world when you come to Mount Buller, with its high alpine peaks, mountain ranges and stunning scenery. Explore a haven where there is an abundance of wildlife and breathtaking landscapes come summer time and a winter wonderland to discover during the cooler months! Mount Buller is somewhere where you can go hiking, swimming, camping, horse riding, rock climbing, abseiling, mountain biking or simply just enjoying the many scenic routes you can travel along during summer and in winter you can ski some of the best slopes whether you are a beginner intermediate or advanced skier as well as go snowboarding on terrain parks and half pipes, go on snow shoeing tours through the back country, have a go at snow tubing or tobogganing. Ever possibly snow activity is on offer at Mount Buller come winter time! 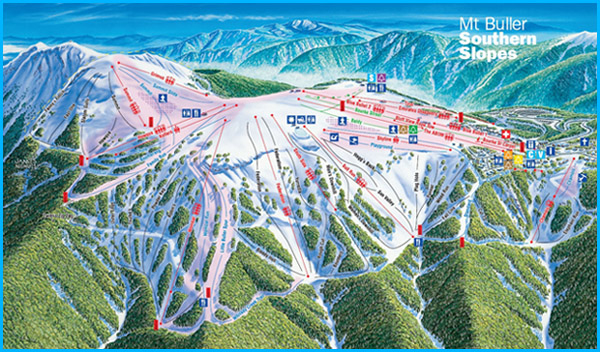 The main resort village of Mount Buller offers a variety of things from shopping to dining! You can browse through retail outlets to see what you can find, dine in over 30 different restaurants, bars and cafes or step out for the night to enjoy the nightlife. Have a pamper session in the day spa, play a round of laser tag, walk through the museum, spend some time in the sports centre with the kids where you can play basketball, tennis, netball and many other sports and even do some indoor rock climbing if you are up for it. Catch a movie at the cinema, wander along the Arts and Artefacts trail or take a scenic helicopter ride over the mountain tops.... The choices are all there for you! There is a huge range of accommodation of all types, budget through to five star luxury! 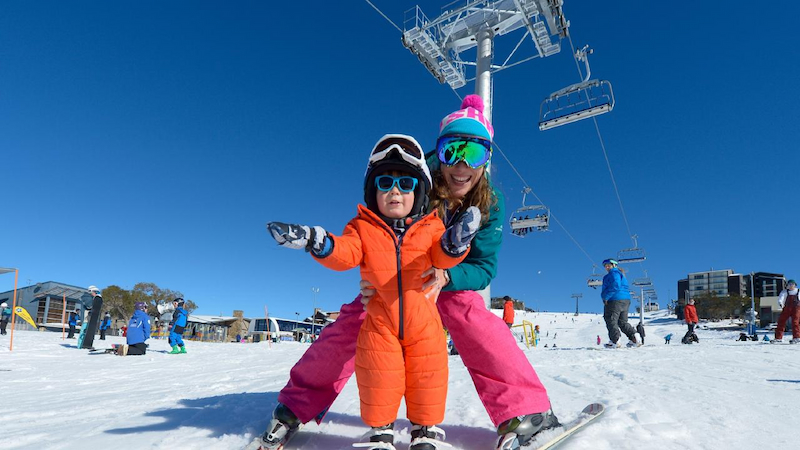 Families can stay in self contained apartments or ski lodges ideal for holiday with the kids, backpacker can bunk in a number of comfortable dorm rooms for next to nothing and there are also luxury suites, chalets, villas, holiday homes and boutique hotels that you can book all year round. Both on and off the mountain accommodation can be booked, it all just depends on how much you wish to pay. 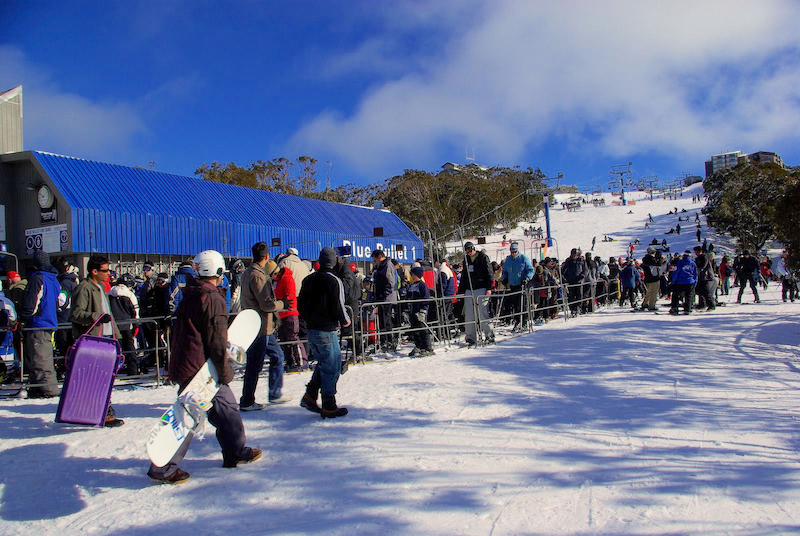 Mount Buller will certainly prove to be a destination with the lot as you explore and experience the many highlights and delights of this area. There are a few different ways you can choose on getting there, from flying in a helicopter for those of you who just can’t wait to arrive or you can fly into one of the Melbourne airports where a coach or rental car can be waiting for you as soon as you disembark. For those of you who do decide to self drive always make sure you have snow chains if you plan to visit Mount Buller in the winter time for safety reasons and pay attention to all of the signs along the way. Mount Buller is a wonderful holiday destination for all occasions so find out more about what this destination can offer you, and plan a trip to the alpine hills of Mount Buller.